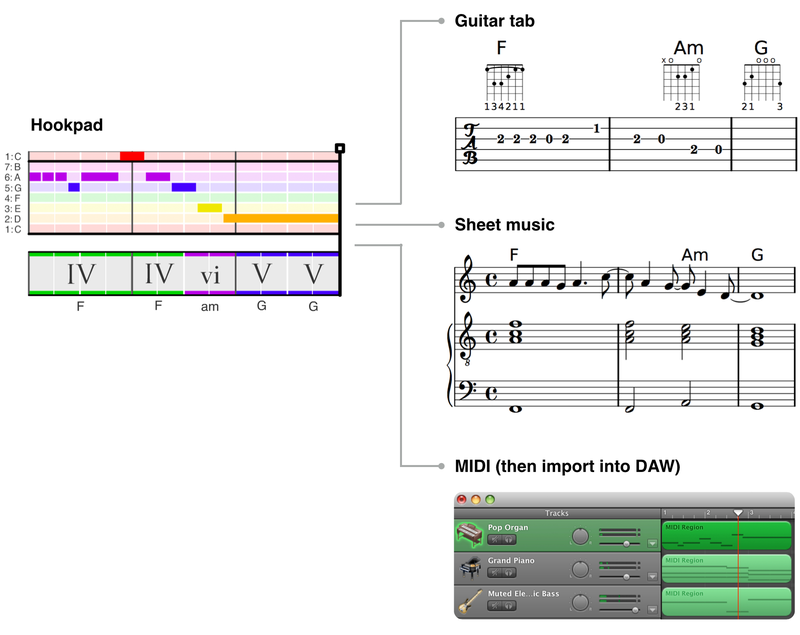 Export your songs to MIDI and beautifully engraved sheet music or guitar tablature. 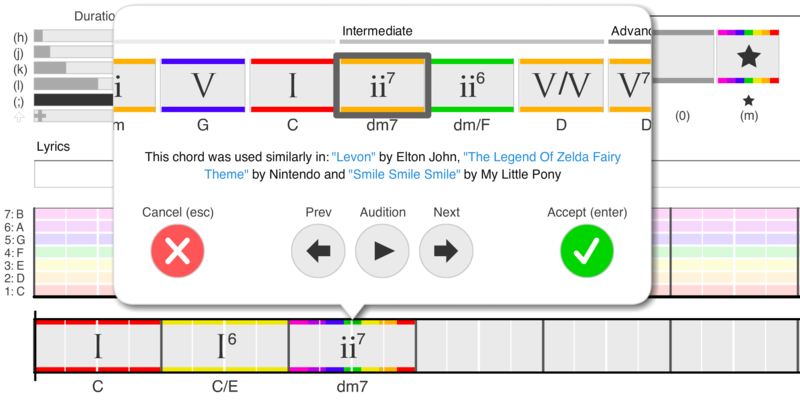 Plus users can ask Hookpad for help to pick the next chord in the song they are writing. Hookpad will analyze the chords you’ve already written and then look for examples of songs in the TheoryTab database that have used chords similarly to get clues as to what chord might work best next. Then it provides suggestions for you to pick from. Find the right chord in any situation! As you type, Hookpad places each syllable on the note it corresponds to. Use a hyphen for custom syllable separation. We also added support for MIDI input, recording, and looping. Hookpad’s new features are available with a Hookpad Plus membership. We plan on adding lots more stuff soon to other parts of the site, so stay tuned!